Another long day. While I was riding through the lost pines yesterday, I was riding through the piney woods of East Texas today. 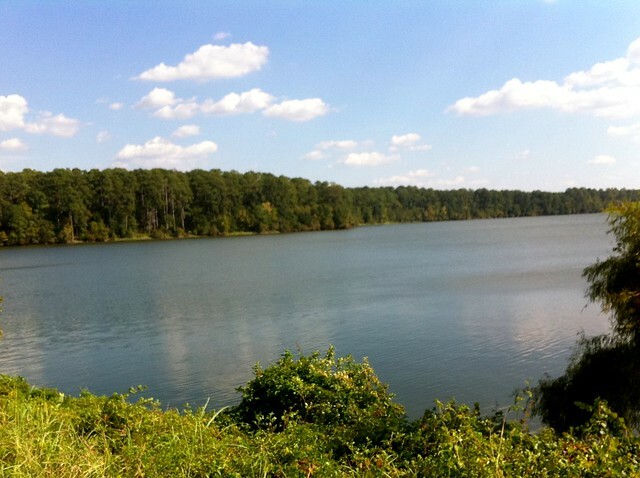 I spent quite a few idyllic miles riding through the Sam Houston National Forest, flanked on both sides by walls of tall pines, on a glassy road with minimal traffic. Some of the best cycling I’ve had during this trip. Many of the roads I’ve been riding on are maintained by counties, and in Central and East Texas, I may criss-cross five counties in the course of a day. Today, in fact, I rode through six, and even if there weren’t county-line signs, I’d know by the quality of the road. I’ll just say that Montgomery and San Jacinto counties are the cyclist’s friends. Walker county, not so much. Early in my ride today, in the community of William Penn (seriously), I met my second set of westbound Southern Tier riders, Sue and Ken from Canada. They’re apparently retired, and are very experienced cyclotourists—I think they said they’ve toured over 30,000 km in the USA. They were both riding Surlys with 2″ slick tires and a full set of bags. We traded tips and stories. They’re planning on taking a couple days’ break in Austin, and I was happy to be able to give them some pointers. I pushed on to Navasota, the transition between Sections 4 and 5 in my maps. 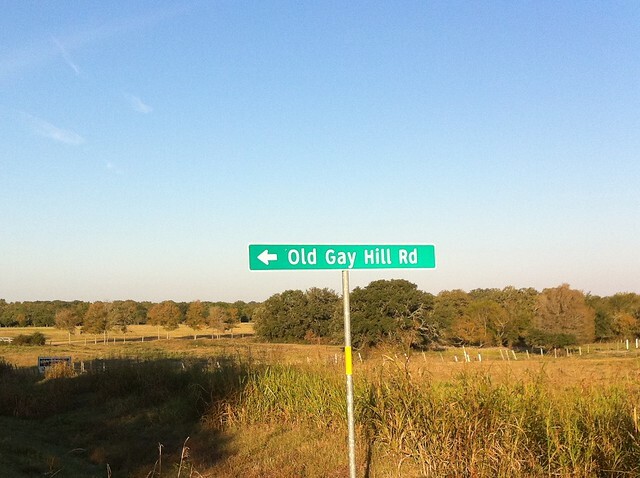 When I encounter a small town in Texas, I place it in a two-dimensional spectrum. On one axis is whether the town’s commerce is directed at locals or tourists. On the other is whether the businesses are succeeding or failing. It always makes me a little sad to see small towns that aren’t serving their local communities. Having seen Navasota, I think I need to add a third axis: nice or nasty place to live. Navasota’s main drag looks like most of the businesses are doing ok, and they’re clearly local-directed, but the place just has a nasty feel to it. La Grange, by contrast, is also local-directed and successful, but looks pretty pleasant. I stopped at a café that was visible from the intersection that marks the transition from Section 4 to 5, and when I was paying my tab, got to chatting with the guy at the register who asked “are you riding east or west?”. He told me some stories about other riders who had stopped there, and told me that when I get to Louisiana, I should stop in the scariest, diviest restaurants I see—places I would never stop anywhere else—because they have the best food. I had been riding mostly with strong crosswinds to this point (at one point, I saw a poorly secured barn roof being partly tugged off), but it was a few miles after Navasota that I found myself in the pines, and they shielded me from the worst of it. By the time I was past the thickest of the pines, I was around New Waverly, on SH 150, a busy, chattery 2-lane road with nothing resembling a shoulder and a lot of redneck drivers who have no patience for cyclists. Not the best stretch of riding. But once I got past the town of Pumpkin (again, seriously), I entered a different county, the road improved, and the traffic diminished. I had a pleasant ride the rest of the way into Coldspring. Despite the fact that I already had a lot of miles behind me, I was feeling pretty good and still had about 90 minutes of daylight, so I thought about pushing on to the next town, Shepherd. But I decided to end on a high note. This entry was posted in Daily report on 13 October 2010 by adamrice. Ending the day in Coldspring TX. Two days out of Austin, I am 12 miles short of where I predicted I’d be after three. This entry was posted in Status update and tagged twitter on 13 October 2010 by adamrice.